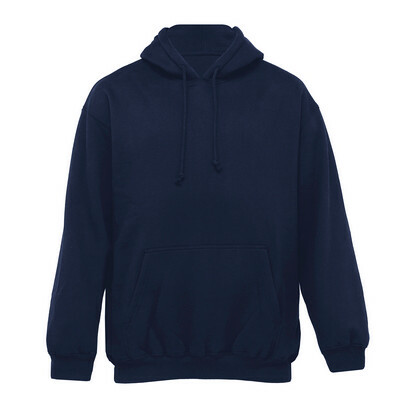 360gsm fleece 80% cotton 20% polyester, Classic fit, Self fabric lined hood with dyed to match draw cord, Twin needled pouch pocket, Cotton elastane fine rib on cuffs and hem. Colours: navy. Sizes: Adult: S-XXL.